﻿ If Someone Slips on an Icy Sidewalk in Front of My Home or My Business, Am I Liable? This winter, it’s important to shovel and salt your sidewalk to make sure you don’t fall into a lawsuit. Depending on the circumstances, you could be held liable if someone slips and falls on snow or ice in front of your home or your business. If ice developed as a result of the diversion of water (e.g., a downspout that sends water onto the sidewalk), then you could be held liable because you created a hazard. However, natural accumulations of snow and ice generally do not create liability for a home or business owner. Local ordinances may create duties on property owners to shovel and treat icy conditions. Failing to comply with these ordinances can result in liability for injuries from slip and falls. 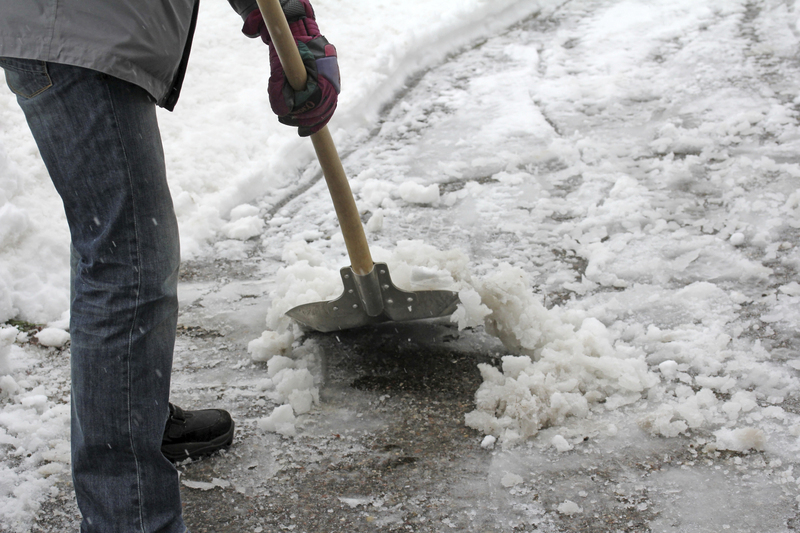 Following a storm, home and business owners are allowed a reasonable time to remove ice. Therefore, if someone falls on ice during the storm or in the hours immediately following the storm (especially if the hours were overnight or when you would not normally maintain the property), it is less likely that the property owner (or tenant) will be held liable. However, if sidewalks and parking lots are left untouched for an unreasonable period of time after the storm, the likelihood of liability increases, even if the ice and snow occurred naturally (e.g., from storms or through melting and refreezing). Because of the transient nature of ice, if someone has fallen on your property, it is a good idea to photograph or video the condition of the property – especially if there was no ice or if the ice was open and obvious. This includes both the area of the fall and the overall condition of the property. If the sidewalk is clearly covered in ice and someone decides to walk across it anyways, the injured party is likely responsible for any injury sustained. This is especially true if alternate pathways were available. Everyone has a duty to avoid open and obvious hazards and property owners are not liable for injuries occurring as a result of people assuming such risks. Whether a property owner is liable depends on the circumstances surrounding the icy conditions. However, it is always a good idea to shovel and salt your property as soon as possible for your own safety and the safety of those around you. Finally, make sure you have liability insurance to protect you in the event someone does fall on your property. Property owners and tenants are regularly sued for injuries occurring on their property regardless of the efforts to control icy conditions. The cost of defending these lawsuits could exceed the value of the injury sustained. Insurance will pay for the expenses related to defending these claims in addition to any verdict or settlement. For deicing tips, click here!